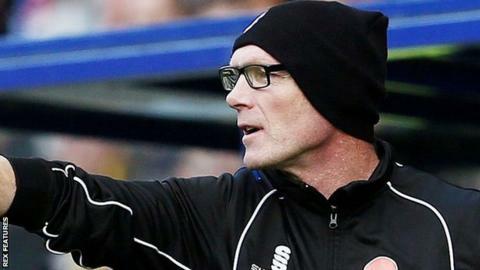 Gateshead boss Neil Aspin has urged his side maintain their form as they push for a National League play-off spot. The Heed beat Eastleigh 2-1 on Tuesday to move up five places to sixth and to within a point of the play-off places. "With 14 games to play you've got to make sure that for those games, and as many as possible, you play at your best," Aspin told BBC Newcastle. "To be successful you have to be solid at the back. You won't get any success if you're conceding all the time." Gateshead have lost just three National League matches since Aspin's appointment in November, but have a challenging set of league fixtures ahead. Aspin's side face leaders Cheltenham and promotion rivals Tranmere and Forest Green Rovers in their next five games. "We know that if you have an off day and make mistakes you get punished in this league and you've got to be on your game every week," he said. "There's not going to be many chances this season where you can look at the league table and three points could put you in the top five."